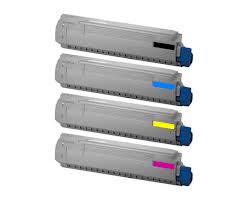 Okidata is one of the most renowned producers of office printers and multifunction devices. Oki machines are reliable workhorses, but nothing comes without some issues. The more current models will have an LCD screen that displays detailed error messages, such as “File transfer failure” or “paper jam”. But before technology advanced to this point, numeric codes were used to indicate the error. An issue has occurred with the internal hardware in the printer (i.e. circuit board, processor). Because this code does not represent a specific error, it is recommended to call Oki Technical Support or take the machine to a local service center for diagnostics. There is a fan inside the machine for the sole purpose of keeping the CPU, or processor, cool. This fan has stopped working. You can try restarting your machine to see if the fan resets itself, but if not, you will need to have the fan replaced. The fuser, which uses heat to fuse the toner to the fibers of the paper, is not working properly and will need to be replaced. Though you can order a replacement fuser yourself, a service center should do the installation. The area inside the printer that holds the Okidata toner cartridge(s) is giving an overrun-detect error. You may be able to fix this by loading a new printer driver. If not, contact Technical Support. This parameter I/O code indicates an interface time-out of the primary controller board. Either the input area or output area can cause this to happen. Contact Technical Support for troubleshooting tips on this one. Something has interfered with the reading or writing of the RAM (memory) during the start-up process. Restarting your machine should clear the memory and allow it to start up properly. Some stored data could be lost upon restart. During the start-up process, the engine detected a problem with the static RAM (SRAM). This should be fixed simply by restarting the machine. The humidity sensor has triggered an error because the humidity in the unit is not normal, or there has been a break in the connection. You can try reconnecting it (if you do not know how, call Technical Support), or you can replace the sensor. The temperature sensor is detecting abnormalities. This could be an issue with the sensor, connection, or temperature inside the machine, which would indicate an overheating problem elsewhere. Contact Technical Support for help. Something is wrong with the LED connectors. Connection may have been broken or the printer simply cannot detect it. The numbers (131-134) represent the different colored lights. Refer to your manual for specifics. An issue has arisen with the printer belt, which serves to keep things aligned inside the machine. This could potentially be fixed by reconnecting or realigning the belt unit. If not, you may need to replace the belt entirely. Each of these numbers represents a color of Okidata toner cartridge (refer to your manual to find out the pairings). This error could mean a number of things, so all you can do is verify the lock lever is secure and the cartridge is installed properly. If the error code continues to appear after you restart the Oki printer, contact Technical Support. The temperature of the fuser is below what it needs to be to properly fuse the toner to the paper. You can try adjusting the fuser temperature, but most likely you will need to replace it. Leave this task to the professionals at a local service center. The duplexer, which provides dual-sided printing, is not working properly. This is most often caused by a paper jam, so be sure to clear any paper that is stuck in the duplex unit. If the error continues to pop up, call Technical Support for more troubleshooting tips. This error represents an issue with a paper tray. Usually the problem stems from a jammed piece of paper or an empty tray. Clear the paper jam or refill the paper and try printing again. This collection of common Okidata error codes can help you to diagnose and possibly fix the problems you are having with your printer. Exercise caution when attempting repairs yourself, as you always run the risk of damaging the printer further when you adjust or replace internal components.